how I like to hear you roar. as your friends fly through the sky. 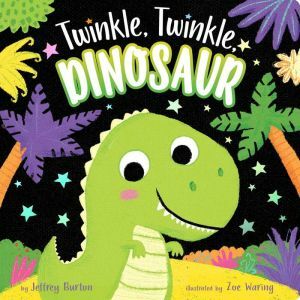 A roaring twist on the popular bedtime nursery rhyme, Twinkle, Twinkle, Dinosaur is the second book in a brand-new board book series that’s perfect for parents and little ones to snuggle up with and share.